Hello boys & girls. It’s been a while since we’ve posted new content to the website. It’s become so easy to use facebook and twitter to keep our fans up to date with what’s going on and what we’re up to that sometimes we just get too lazy to actually write a new article for the site. I promise we’re working on that. I forget that some people don’t use facebook or twitter and may rely on this site for their news. Hopefully we’ll get some more contributors and keep a steady stream of info flowing here. 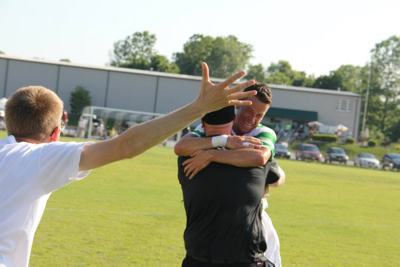 That said, right now is an exciting time to be a Saint Louligan. The Illinois Piasa season is in full swing. Some of you have never been over to the East Side to watch the Piasa. I know a lot of you aren’t really indoor soccer fans, but just like the Lions games, the action on the pitch is only part of the fun. Piasa games are always a blast. The Piasa are struggling this season in the standings, but it’s still important to support your local team. Hanging with friends and having a few beers is just fun. The Piasa players and front office appreciate our presence and encourage our brand of crazy. I highly recommend you hook up with a couple friends and make the trip over and have some fun. Check the schedule and plan a trip. Fun will be had. Coming up next month is tryouts for the St. Louis Lions. As usual, some of us will be going out to watch the tryouts and to meet some of the new Lions. 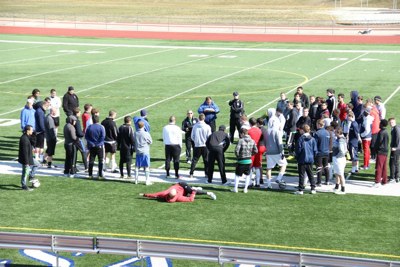 Its always an exciting time as hope springs eternal that we’ll find the next superstar that will tear up the USL-PDL and be on his way to USL-Pro, NASL or MLS. 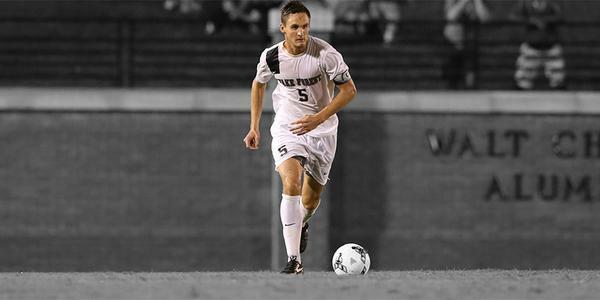 26 of the MLS Superdraft picks last week have played in the PDL. Our league is where tomorrow’s stars hone their craft. These young kids are the diamonds in the rough that will become our favorite players. Just a few short years ago you could have seen Teal Bunbury running up and down the pitch at the Glavin Complex. The 2013 St. Louis Lions schedule was released last week and we can start making plans for the summer. A couple road trips are being planned as well as all the home game shenanigans that we normally get up to. 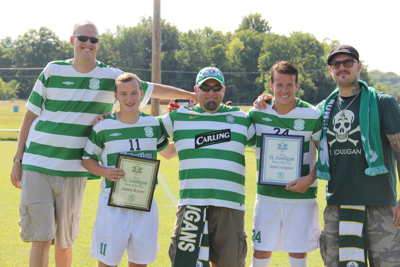 If you’ve been an observer from the fringe but never joined us at a game, it’s time to become a Louligan. 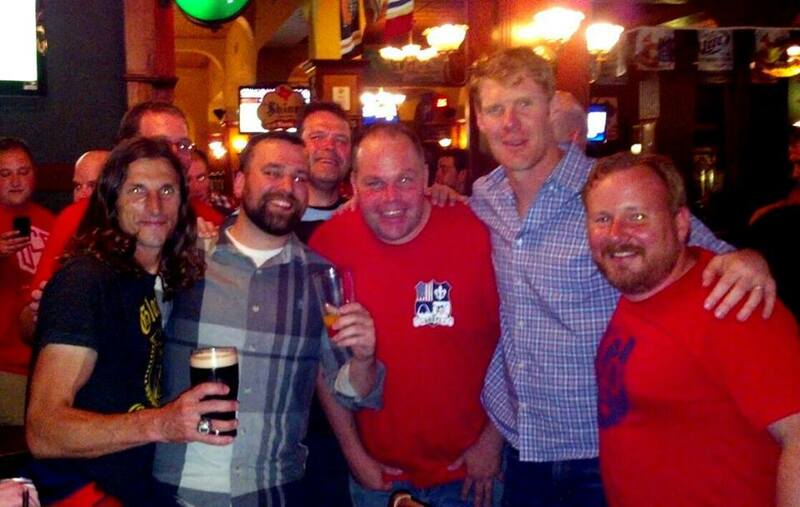 We all have our favorite teams we watch on TV or an MLS game or two we travel to every year, and that’s great. 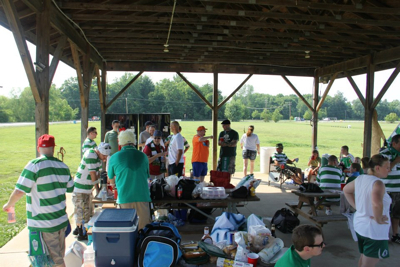 I’m not going to lie and tell you that the soccer on the pitch in Cottleville is as good as what you’ll see at FORMERLY “livestrong” Sporting Park, but there is nothing like being at a live match and cheering with your friends and having fun. Bonus, we get a lot closer to the players and the coaches than you’ll ever get at MLS games. We also get a lot closer to the opposition. It’s great when you heckle a guy and you can see him getting out of his game. Making an opponent make a mistake because he’s thinking about the fans instead of the match is priceless. Also knowing that your support is making your team play harder and give that little exrta bit of effort will make your afternoon. No, these guys aren’t pros but that doesn’t make it any less fun to see them score a goal and run to your section in celebration. So join us at a game and find out how much fun live soccer is. Other things we’re working on for this coming Spring/Summer include getting a new supporter section set up at the Glavin Complex. Sometimes our language is less than PG-13. We’re working with the Lions to find a place to set up away from the families. 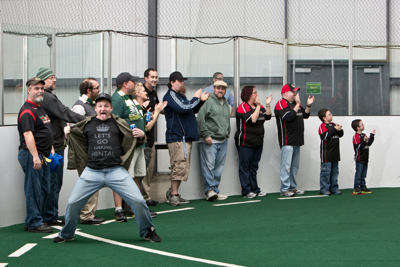 The Lions organization is actively working with us to make sure we bring all of our passion and enthusiasm to the game and still make it comfortable for families to come out and have fun. We are excited about this because we never like offending other fans. We’ll also be planning a Supporter Work Day at the park to help with little improvements. The Lions are a small organization and we’re going to prove our worth to them by helping get some stuff done that they just don’t have the manpower to take care of. We’re building sweat equity in our team and showing that we’re not just there to drink beer and act crazy (although that is what we do best). So, thats what’s up with the Piasa and the Lions. 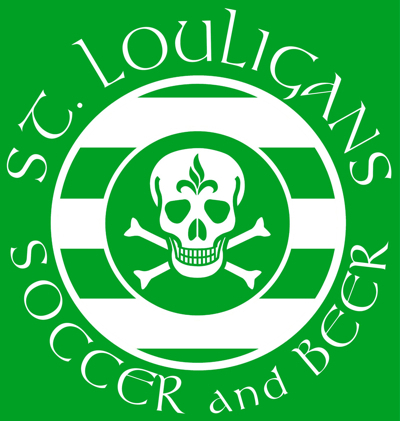 As far as the St. Louligans go, we’re working on a new Supporter Scarf. It’s been a few seasons since we’ve had a new scarf, so its time. Some of the new members didn’t get in on the first scarf and soon we’ll have details on how to pre-order the new design. Like last time, purchasing the scarf will also allow you to buy a Lions season ticket for a special supporter price. It hasn’t been determined yet (we’re working on it) but a St. Louligan Season Ticket will be in the $50-$75 range. We’ll have a scarf party when the scarves come in and someone from the Lions will be on hand to sell you your season pass at that time. Basically it’s a reason to get together with each other and have some fun before the season kicks off. We’re also in talks with the Lions to have some sort of meet and greet with the fans and the players. It may all be on the same day. The podcast, “This Is Silly” will also be returning soon. It fell off last year for a variety of reasons, but we’re going to re-launch it this Spring. We’re taking it up a notch and plan to have interviews and guests including Lions players, Coaches, the GM as well as opposing team coaches and maybe some players. We’re going to try to make it a little more professional and hopefully get some attention for the Lions in the USL world. We will still drink beer because there’s only so much we can do without getting paid and beer is a great motivator. If you’d like to sponsor the podcast we accept liquid donations. And finally, in addition to the Lions and the Piasa there are going to be two more high level teams to support in the St. Louis area. Details are still sketchy, but the Women’s Premier Soccer League will have teams in St. Louis (the Defenders) and on the East side (Fire & Ice Soccer Club). 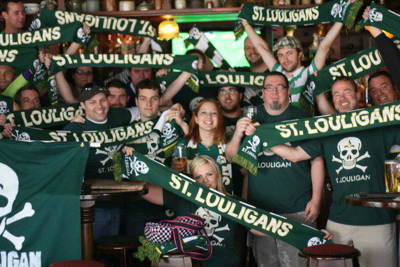 Many of our members were in Laclede’s Army- one of the best supporters groups for the defunct WPS and the St. Louis Athletica. 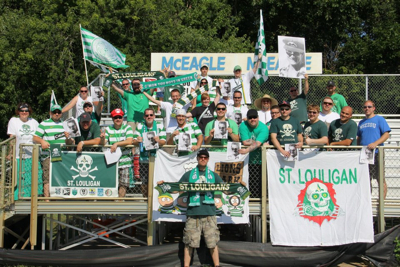 We’re happy that a women’s soccer league will have St. Louis represenation and we’ll provide information about them and I’m sure we’ll be in the stands at their games having fun. So, there’s a lot going on and we’re excited to be a part of it all. Please, follow us on twitter, like us on facebook and subscribe to the podcast on iTunes. You won’t want to miss all the great things going down in 2013.